Talk with our Design Engineers directly to discuss your computer system. Custom Trading Computers specializes in designing high performance computers for financial traders.
. Our passion is helping serious traders gain an edge over the competition through technology. Our custom computer products are built from the ground up for reliability and performance that you can count on. If you trade stocks, futures, options, commodities or forex... then see what our products can do for you. Why choose Custom Trading Computers ? Custom Trading Computers specializes in custom built Financial Trading Desktops and Laptops.
. We are a leader in product development and customer service for the financial trading industry. industry.Our years of online trading and technical computer experience make our custom computers essential tools for traders who want to effectively profit from financial markets. Our sophisticated understanding of computer hardware and online trading applications helps ensure that we can build a custom computer to meet your specific needs. We work with our customers on a personal "one on one" basis to promote the best communication possible. form, and we will give you some ideas to help you get started in the right direction. 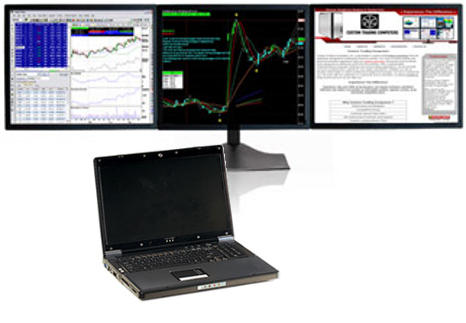 Why use a "Monitor Array"
Computers "Built for Trading" - Traders depend on their computers systems to connect to the markets and help keep their trading business on the leading edge. Sometimes traders worry about slow screens changes, frozen screens, sluggish computing and hardware failures. Our trading computers are thoroughly tested using real trading environments to provide a fast, dependable business tool. 2019-0424;13:54:14;UDSE75AV28NFIH6 Please, visit our "Built for Trading" page to learn more. Performance and Reliability - In an industry where a few seconds can change the outcome of a trade, we stress the importance of both performance and reliability together. 2019-0424;13:54:14;YFUHEZRLXDAK4SW Please, visit our "Performance and Reliability" page to learn more. 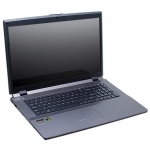 Competitive Pricing - Price is often a factor when a trader starts to researching a new computer purchase. Our approach to pricing is straight forward and simple: When comparing "apples-to-apples," Custom Trading Computers offers the best value available. 2019-0424;13:54:14;N9KG140AZPS8QHM Please, visit our "Competitive Pricing" page to learn more. Personalized Customer Service - Tired of "phone trees" and layers of cheerful service reps that can&apos;t help? We give "one-on-one" attention to every one of our customers and potential customers by the same people that designed and build our products. We appreciate our customers and know that helping our customers succeed helps our business succeed. 2019-0424;13:54:14;FV8H9S2C5R7OLWI Please, visit our "Customer Service" page to learn more. 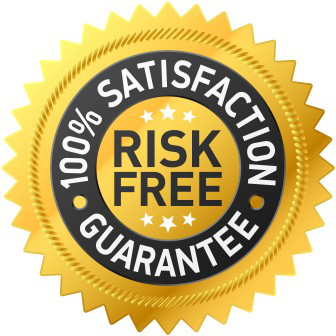 Direct Warranty and Support - As a specialty business, we handle all warranty and support directly. Our customers work with the same people that designed and built their Computer, and not with a third party company unfamiliar with Financial Trading or your Computer. 2019-0424;13:54:14;6D52N1XV8JAR9QT Please, visit our "Warranty & Support" page to learn more. Industry Leading Delivery Time - We are able to ship out nearly all of our custom computers within 5 - 7 business days of cleared funds. 2019-0424;13:54:14;H16OUIT2GVEKPZX Please, visit our "Delivery Time" page to learn more.